Slate’s Culture Gabfest on BlacKkKlansman, Making It, and the fire at Brazil’s National Museum. Photo illustration by Slate. Photo by Buda Mendes/Getty Images. Listen to Culture Gabfest No. 520 with Julia Turner, Dana Stevens, and Stephen Metcalf with the audio player below. On Slate Plus, the hosts debate the decision to invite (and then disinvite) Steve Bannon as a headliner for the New Yorker Festival. This week, Julia, Dana, and Steve take on BlacKkKlansman, Spike Lee’s new film based on the memoirs of a black police officer who infiltrated the Ku Klux Klan. How much of the incredible story is true, and how does that affect the way we experience it? Next, they talk about Making It, the crafting competition show co-hosted by Amy Poehler and Nick Offerman, and what it says about the state of celebrity in 2018. Finally, the hosts are joined by Mauricio Santoro from the State University of Rio de Janeiro to discuss the tragic fire at Brazil’s National Museum, which destroyed roughly 90 percent of its collections. 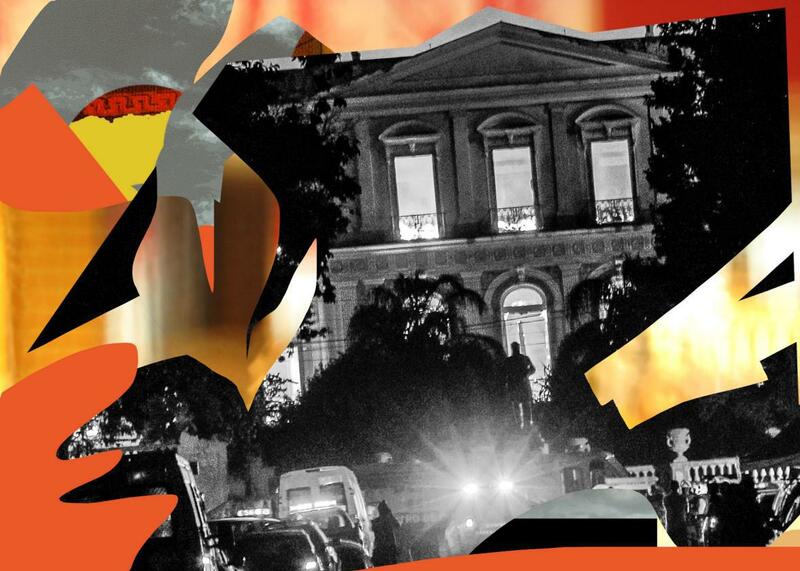 They learn about the museum’s place in Brazilian history and culture, the circumstances that led to the loss, and what comes next for the institution.